WorldWide Telescope (WWT) provides a rich contextual visualization environment for astronomical data. The WorldWide Telescope Ambassadors Program (WWTA) use WWT to educate the public about Astronomy and Science. WWTA is run by a team of astronomers and educators at Harvard University, in collaboration with the WWT community. 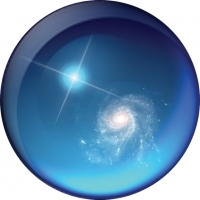 MilkyWay3D.org is a tool intended to organize and curate links to information about data sets relevant to our 3D understanding of the Milky Way. pyWWT The pywwt package aims to make it easy to use WorldWide Telescope from Python. The ADS All-Sky Survey (ADSASS) is an ongoing effort aimed at turning the NASA Astrophysics Data System (ADS), widely known for its unrivaled value as a literature resource for astronomers, into a data resource.